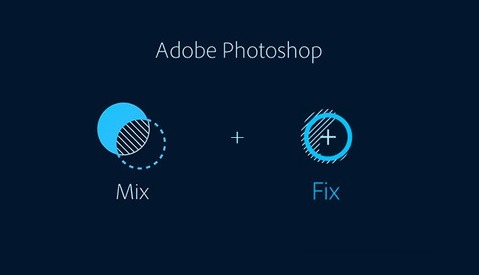 A new photoshop algorithm featured at the Adobe Max 2011 is almost too good to believe. 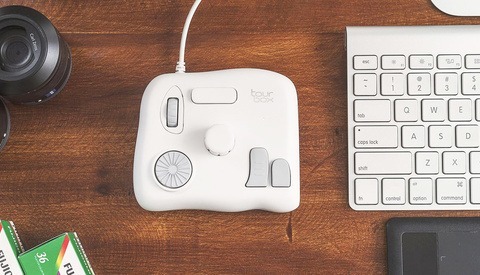 Somehow engineers have figured out a way to take extremely blurry images (by photographers' standards at least) and render them sharp and usable with the click of a few buttons. The goal behind this software is not to fix improperly focused images but rather to fix motion blur caused by a shaky camera or a slower shutter. The crowd's reaction at 1:18 is worth watching this video alone but if this technology ever makes it to future copies of Photoshop then this will no doubt rock the digital world in a way we've not seen before. I have been working on that for ages. Dang those people with college degrees! could be useful in forensics such as reading a blurry car plate. I wonder would it hold up in court though. Exciting though. I was wondering what new features might trump context aware (which to be honest, has disappointed more than excited me as I always have to resort to Clone Tool most of the time). Kind of like motion tracking on a still frame. Cool feature but wonder what the actual quality of the photo looks like. Wonder if it causes more noise? Wonder if there is a visual difference between a tack sharp photo take right in the camera compared to something like what you saw on the screen. Again cool feature but pretty soon to me it seems like photography will kinda be a lost art where now it could almost be like cheating. Ummm yeah.. thanks for that but we all have seen that video posted here before. #Eh! This seems far too good to be true to me. I'm sure it can make it a little sharper but I can't imagine it could ever create a usable image. The idea has existed forever. You can track the motion of the blur and compensate in the opposite direction. Then an algorithm like that which is used for content aware fill makes up the difference. It's not difficult to imagine because there is a lot of data still in the shot. Think of it like your mind. Dirt and dust get on the lens of our eyes and the brain flips, rotates and fills in the gaps. It works, but nothing beats shooting an image right the first time. Especially for those who should be professionals. It's all about expectation. CAF wasn't the White Knight that it was presented as, but it gave enough of an improvement for it to be a pretty great tool in appropriate doses. If it turns out to be a "better than nothing in a less than ideal circumstance" I'd pay for it gladly. yeah and could it not well be that they're demonstrating their technology without actually using it? ---&gt;create sharp image blurry and then show it as doing the opposite?? Ya'll... My uncle Bernie wants out of jail. He says that fuzzy pic of him robbing the liquor store ain't him. Aliens strike again... now can they do something for ppl with BO? Forgive me but, is it at all possible that they blurred well focused images for the presentation? It is very easy to make motion blur or defocus an image. I'd love for this to exist but I'm not sure about how legit the demonstration is. It's real. It works. The issue is that these images have a lot of different patterns. For example content aware fill works, but only when there is a lot to be compared too. If you had a large image with a lot of similar tones the computer would compensate in the opposite direction of the blur. However, You would soon realize that there are unusual patterns in the gaps left from pushing the pixels back into place because the computer would not know how to accurately replicate what was missing. It will be close but never perfect or as the image should have actually been shot. Do You belive in it? Bring blury image to sharp wouldn't be possible with ANY software EVER. It is mathematically impossible, when there's no detail. It is like one equation with two unknowns. Software can only improve the result a little bit. @facebook-718146730:disqus Do You really belive in of what You said? Try to imagine that for example when something is totally overexposed (no detail) You cannot bring the texture out. The same with not enaugh detail in texture when sharpening. And if You belive that algorithms can do anything I suggest to learn something about 'Travelling Salesman Problem' ( http://en.wikipedia.org/wiki/Travelling_salesman_problem ). This sounds cool. Usually these things never work as good as they do in the demos put on - I'm looking at you Content Aware Fill! - But it might help in some cases. More tools are always good if you can use them creatively. it's not going to be perfect, but it will be useful. Pro retouchers have been using a technique similar to this for years, linear phase sharpening. Reversing to direction of the motion blur with a offset layer in photoshop. 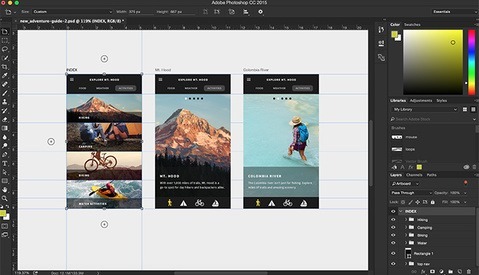 I highly doubt anyone here can explain how this REALLY works otherwise I'm sure they would be working with Adobe. I'm very confident that this will produce a usable file as Adobe is in the business of creating USABLE images. Anyone who has used content aware extensively knows just how accurate and clean it is. There is absolutely no reason to doubt what photoshop is capable of. It may correct a blurry image, but nothing corrects a BORING image. Everyone should keep that in mind. Great if it works but I normally just pass off a blurred photo as "being creative". Also works with overexposed images, mis-focussed images and images shot with lens cap on. It only works under certain conditions. Nevertheless, very nice feature.